Chewbacca and Groot have some things in common. They’re both big, strong, brown, and men of action – not words. But neither of them is particularly cute (though Baby Groot is a different story.) But if you combined the furry mop of Chewie with the plant-growing abilities of Groot, then shrunk them down to pint-size, the offspring would be simply adorable. 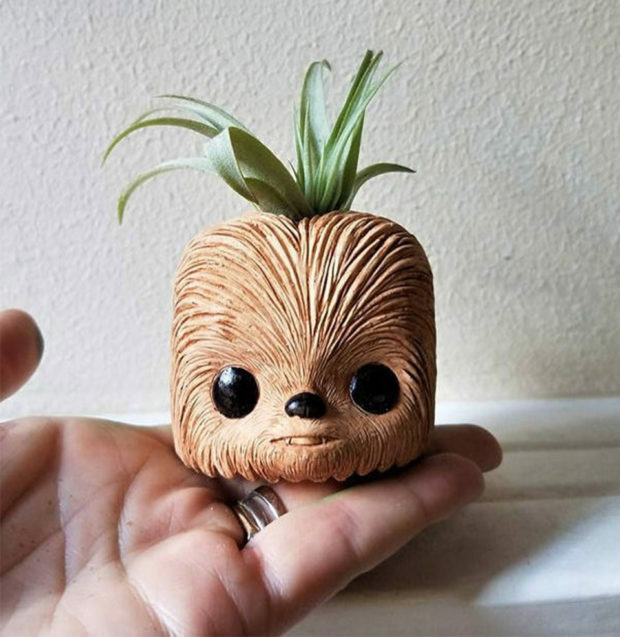 This little guy was created by Redwood Stoneworks, who based the design on the head of Chewbacca’s Funko Pop figure. But in this form, he’s just that much more adorable, with a tiny air plant sticking out of his head, springing forth with life. 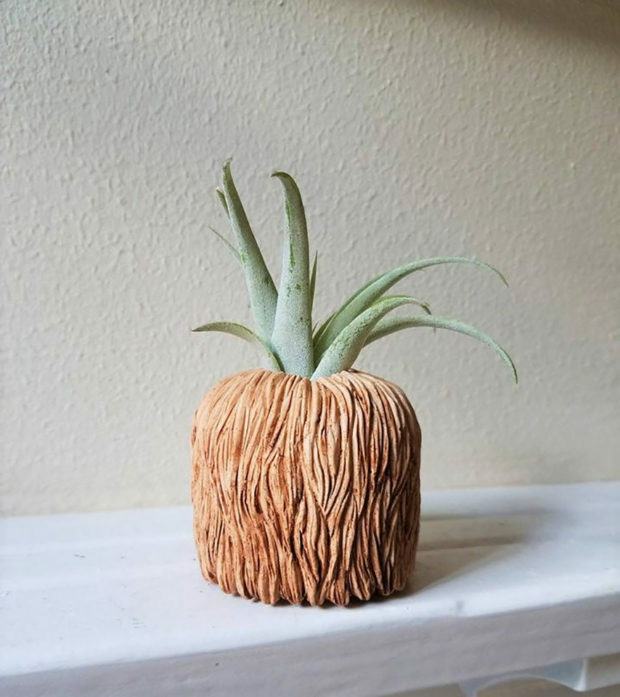 Each planter is cast in gypsum plaster, then sanded, cleaned, and painted by hand, and for just $15, he’s a steal. If you like the playful style of this planter, be sure to check out the rest of Redwood Stoneworks’ Etsy shop, which is loaded with other fun and geeky plaster items, like a Han Solo in Carbonite wall hanging, and a Death Star planter.